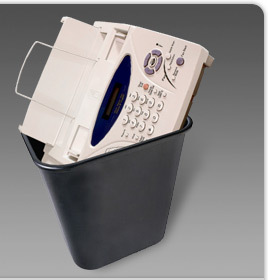 Why do we still have FAX machines and FAX technology? We have too many better solutions. What does anyone still send a FAX? How come the environmentalists aren’t all over this terrible waste and duplication of paper? This entry was posted in Uncategorized on July 8, 2014 by Tony Dye.